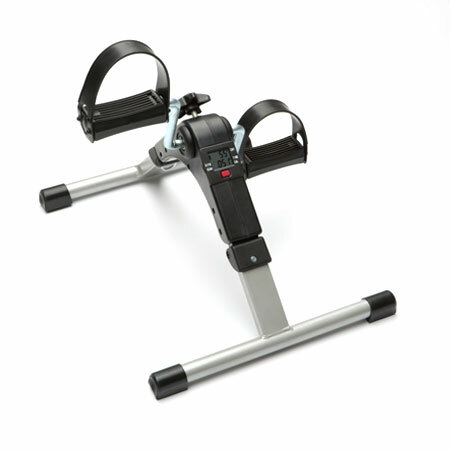 A useful pedal exerciser which provide a fun and easy way to exercise your legs and arms in the comfort of your home. The built-in computer display shows the time, revolutions per minute (RPM) and calories used. You can increase the resistance of the pedals using the knob on the centre of the pedal exerciser. It folds for storage and comes complete with toe straps. Delivery of this product will be made directly from our distributor in approximately 3-5 working days. The product is supplied with comprehensive set-up and user instructions.